The greatest impediment to accomplishing the good in our lives is our own preconceived notion of what that means. 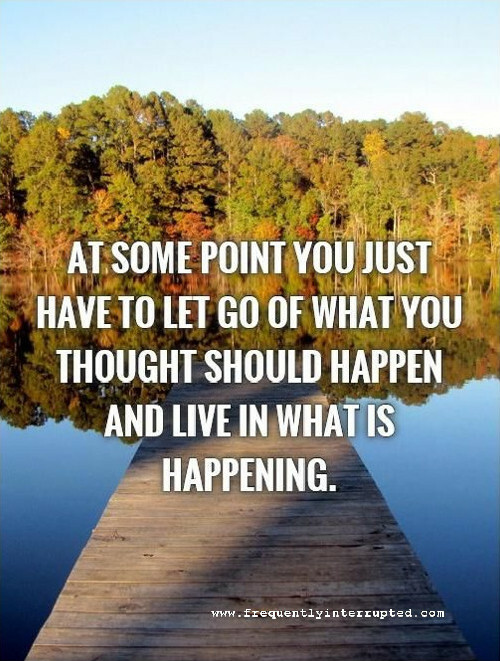 Sometimes you have to let go of your expectations in order to work with what you have. In doing so, you will often find something better than what you thought you were going to make in the first place. Be aware. Be mindful. See the world as it is then go from there. You will accomplish more in a single step than all of your expectations in a harrowing journey.